Things are heating up at Grey Sloan Memorial Hospital. In the first promo for Season 15 of “Grey’s Anatomy,” we get our first look at “Nashville” star Chris Carmack as Link, one of the show’s new McHotties, along with newcomer to the cast Alex Landi. Even his patient can’t help but ogle the “Ortho God.” We also see an 11-weeks- pregnant Teddy surprise the other doctors. But perhaps even more jaw-dropping is a shot of Meredith (Ellen Pompeo) and DeLuca (Giacomo Gianniotti) in bed together… or is Mer just daydreaming? 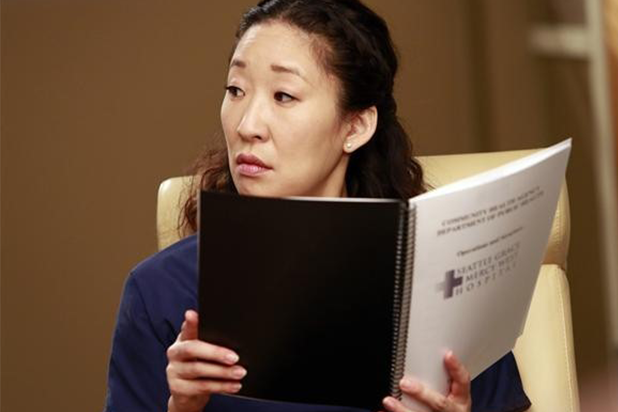 Fans will find out in the special two-hour premiere of “Grey’s Anatomy” on September 27. The first hour, “With a Wonder and a Wild Desire,” was written by Krista Vernoff and directed by Debbie Allen, who also guest stars as Catherine Avery. The second hour, “Broken Together,” was written by Meg Marinis and directed by Kevin McKidd, who stars as Owen Hunt. “Grey’s Anatomy” Season 15 premieres September 27 on ABC.